US Patch Coming December 21st! 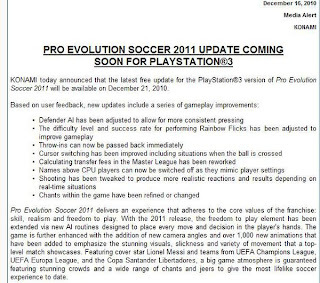 PES fans from across the pond, you'll be pleased to know that your wait is almost over. 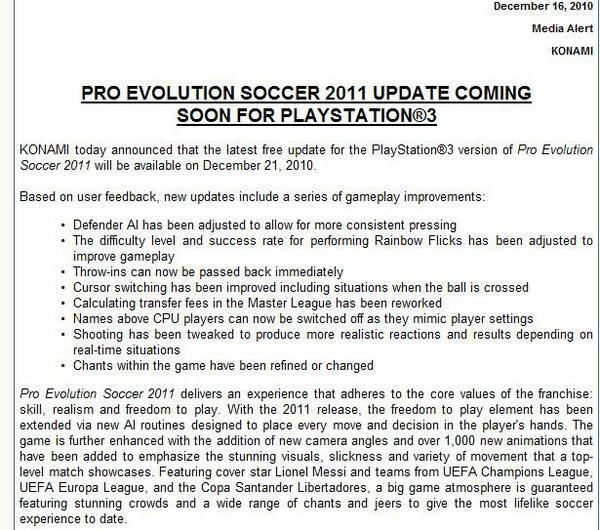 Take a look at the image below, posted by Adam Bhatti (WENB) via his Twitter - Thanks Adam! As you can see, the delayed US patch will be available for download this coming Tuesday. It's been a long wait, and your patience has been impressive to say the least. And you'll be pleased to know that you'll be receiving a special treat next Tuesday, as that is also the date for the new DLC release. Two for Tuesday, PES style. We hope this news brings a smile to your face. Spread the word!